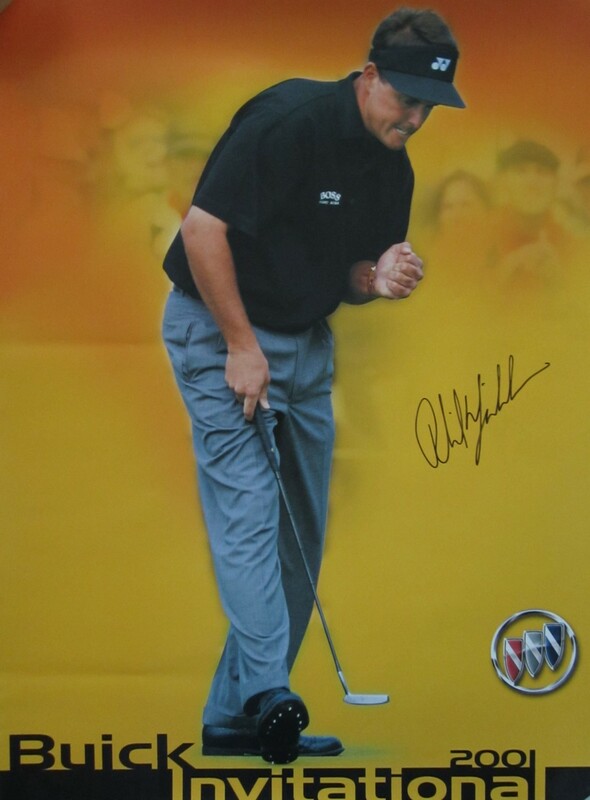 Roughly 18 by 24 inch promotional poster for the 2001 Buick Invitational golf tournament at Torrey Pines near San Diego, autographed in black marker by PGA Tour superstar Phil Mickelson. Obtained in person at the event. With certificate of authenticity from AutographsForSale.com. 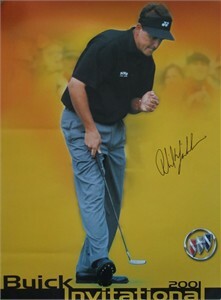 HAS MINOR WEAR AND FLAWS, STILL SUITABLE FOR FRAMING. ONLY ONE AVAILABLE FOR SALE.